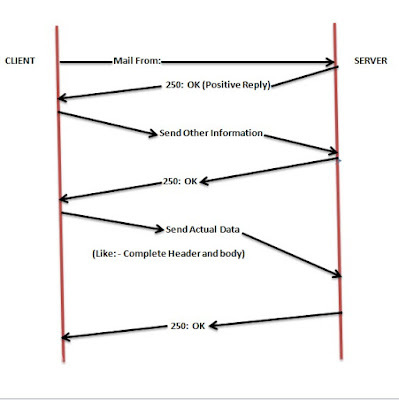 SMTP (Simple Mail Transfer Protocol) Commads, Responses and Mail transfer Phases. 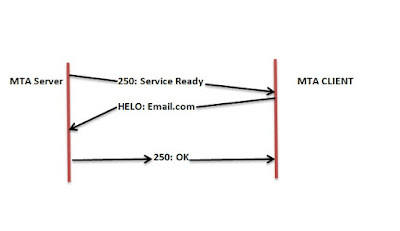 SMTP (Simple Mail Transfer Protocol) uses some commands and the responses to transfer message between an MTA Client and MTA Server. This command used by the client to identify itself. For example - user sends own email with HELO. This command used by the client to identify the sender of the message. This command used for identify the receiver. This command is used for send the actual data or actual message. 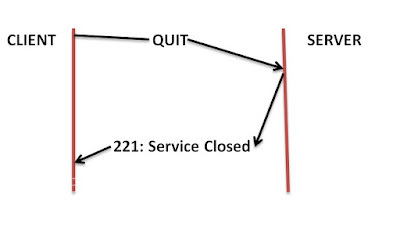 The Quit command used for terminates the message. This Command aborts the current mail transaction and the connection is reset. This command used for verify the receiver address. 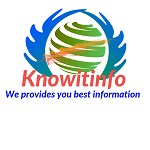 This command asks the receiver to send information about the command sentence argument. There are three types of phases. 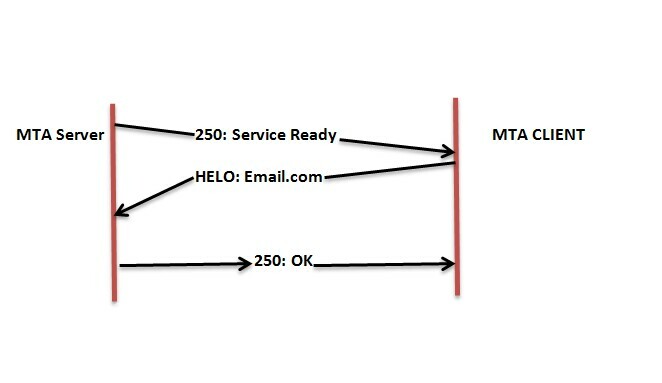 Firstly MTA Server send message with code "220: Service Ready" to MTA Client. It means the service is ready and server ready for receiving mail. Then MTA Client reply with HELO message and send email address for identification (HELO:client@email.com). Then MTA server replies with code "250: OK" (Positive Reply). 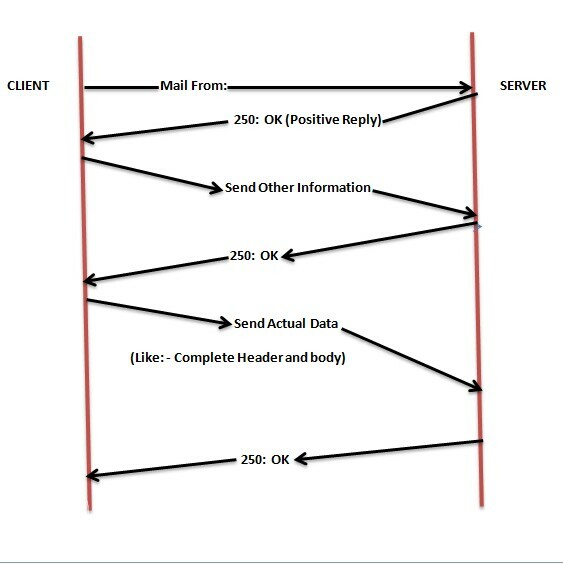 In message transfer, client sends “Mail from:” commands to server. Then server replies with code "250: OK". Then client sends other thing (like receiver mail and other) and server reply with code "250: OK". Now the client sends the actual data (like- complete header and body transformation) and server replies with "250: OK". So it’s the process of message transfer. The client will sends a Quit message to server. 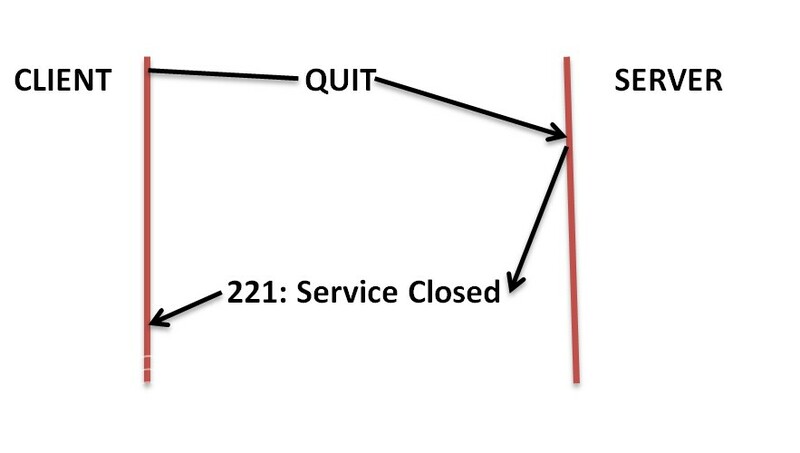 If the server is ready for Quit connection then server replies with code "221: service closed". 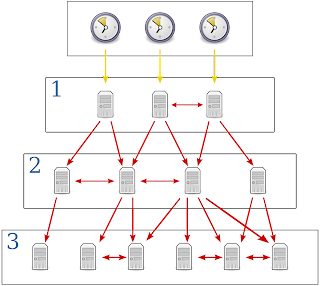 So these are the Mail Transfer Phases.